Supplemental Figure S2.1. 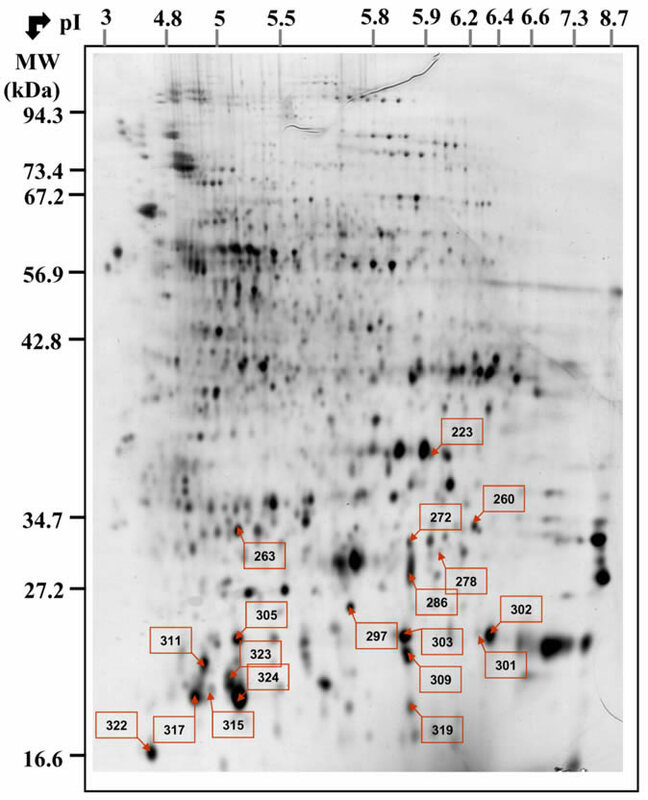 Position of the protein spots listed in Supplemental Table S3 on a silver nitrate stained 2D gel. Numbers of storage proteins can be found in Supplemental Figure S2.2. For spot characteristics, refer to Supplemental Table S1. Supplemental Figure S2.2. 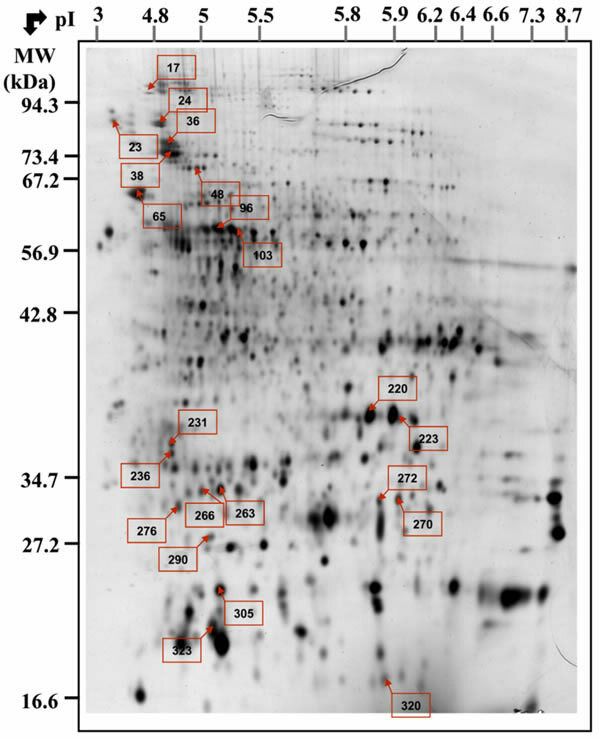 Position of the protein spots referring to storage proteins listed in Supplemental Table S3 on a silver nitrate stained 2D gel. Numbers of storage proteins can be found in Supplemental Figure S2.2. For spot characteristics, refer to Supplemental Table S1.